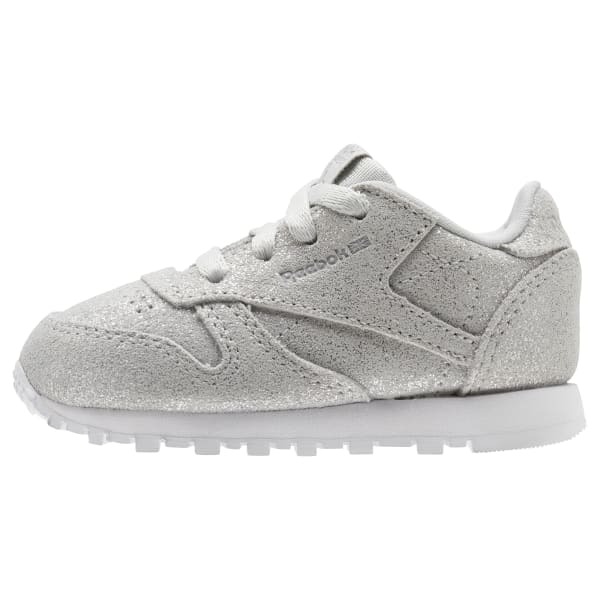 Give your little one a stand-out trainer with these metallic suede kicks. The outsole is durable for kids on the go and gives them traction on all surfaces. They'll feel comfy all day with an EVA midsole that's lightweight and cushiony. 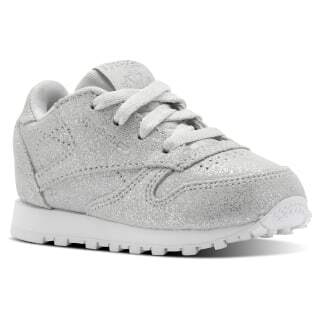 The white sole and metallic touches come together to create a clean finish that playfully catches the light.